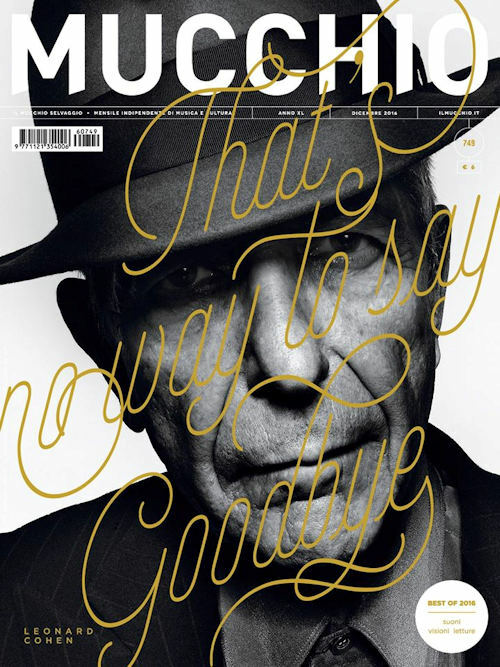 The Q magazine (UK) has a 23 page tribute in its new issue (#368). because only a corner of the cover is used to this topic. Thanks to Antti Huttunen for the hint. I was surprised to find this magazine in my local grocery store. Bounder is a free Ottawa publication that describes itself as "a magazine by, for and about men". 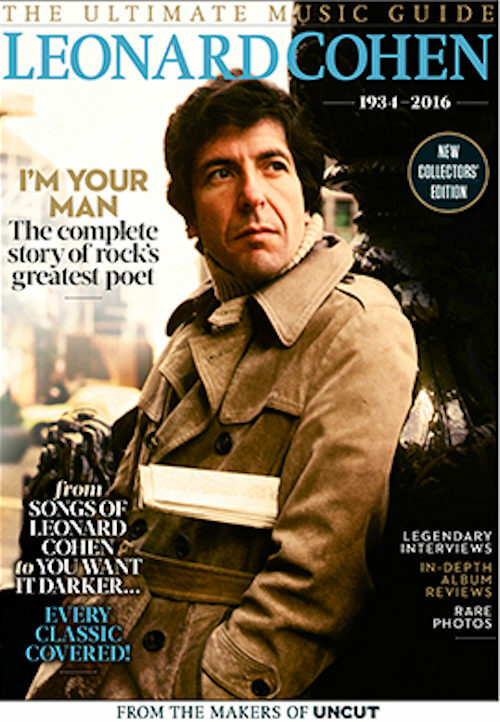 I don't know if the article by John Rowlands was written for the magazine as I have read elsewhere about his photo session with Leonard in 1974. The article is on pages 46 and 47. Inside story: 8 pages, 5 photos; and in addition an advertisement by Sony Music (1 page with photo). Thanks to Barbara Mayer for the scan! Now we're waiting for this special edition. The ad was scanned by Dominique Boile. Fantastic... I have been waiting for the Uncut treatment for a while, and had often wondered why it took them so long to get to it. I have thier issues on Lou Reed and David Bowie, and both are beauties, as I am sure this one also will be. 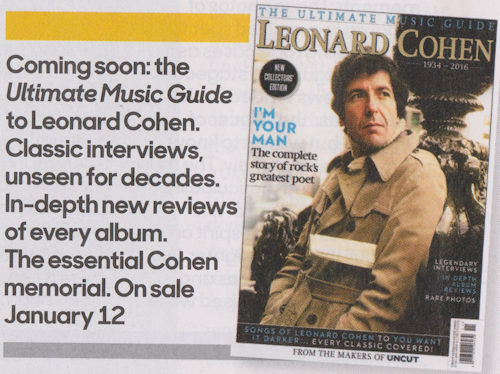 Leonard Cohen album guide from Uncut Magazine, finally arrives. Uncut always does a good job on these special issues, "Ultimate Album Guide". I have the ones on Lou Reed and David Bowie, and have seen many more I wouldn't mind having. At $17 bucks a pop in the US, I don't tend o buy them all like I might have 40 years ago before the price of magazines and books went insane. A bonus is that these issues generally contain writings from the past that most or many Americans such as I haven't seen, reprinting articles and interviews from 1960s-2000s issues of the British magazine New Musical Express while we over here would be reading things like Creem, Circus or Rolling Stone. So the writings, while vintage, are fresh. And the main focus of the issue is a complete look of everything released bu L.C. from 1967 to present (and earlier, as it will surely look at his books of poems and two novels as well, which he put out before becoming a singer-songwriter). 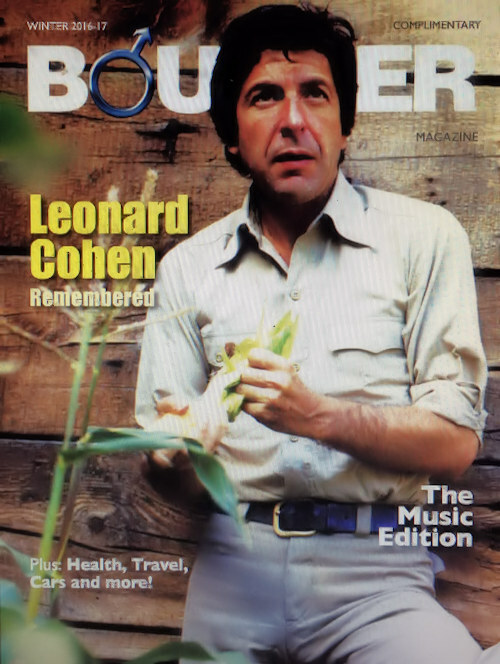 Bound to be quite a few unseen (to me and most of us) photos from those decades Cohen was a "rock star". 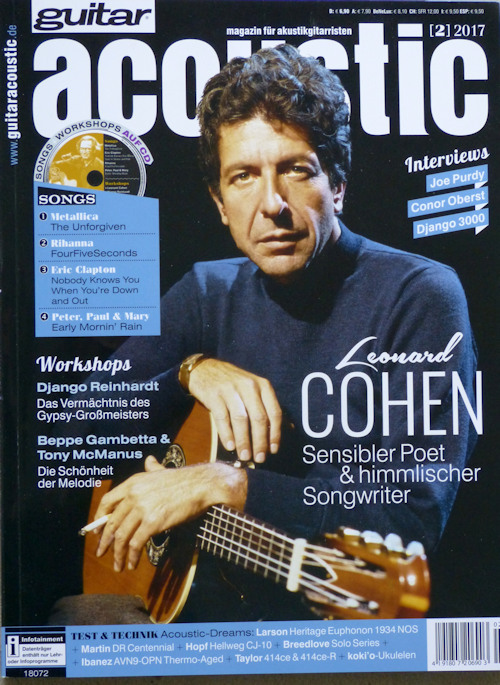 Pretty much an essential and quite long-awaited (after years of doing these, Uncut seems to be just now getting to Leonard Cohen, I have looked a few times) addition to the personal archives, and bound to be an absorbing read and just to gawk at. 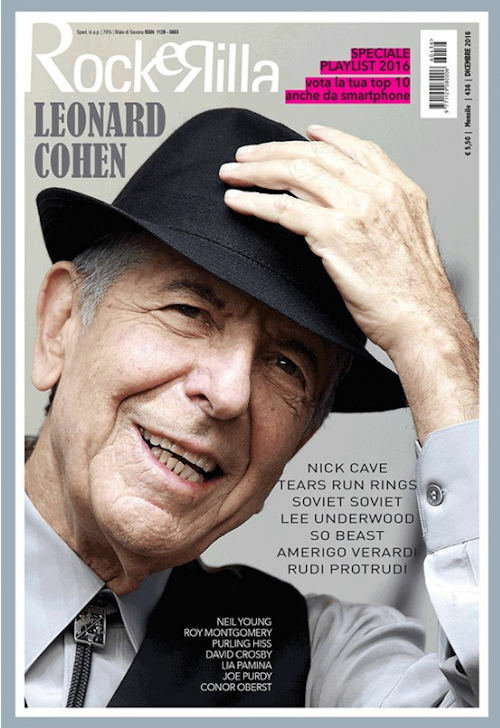 When the news broke of his death, on November 10 last year, we had just begun working on an Ultimate Music Guide to Leonard Cohen (on sale this Thursday, but available now from our online shop), emboldened by the brilliance of “You Want It Darker”. There would be further traumatic episodes, among them a legendary – if not notably successful – spell in the company of Phil Spector. Mostly, though, the story of Leonard Cohen is one of a great artist ruefully trying to make some sense of the mysteries of life and love; trying to persevere on a quest towards transcendence, with caveats. 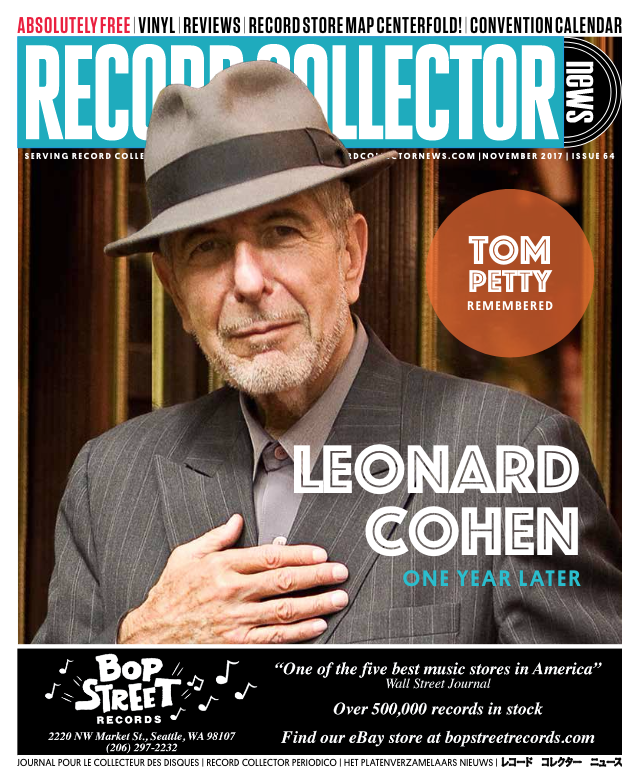 A cover qualifies to the gallery if more than 50 % of it is dedicated to Leonard. Thanks to Tom Sakic for the magazine! Thanks to Barbara Mayer for the info!! 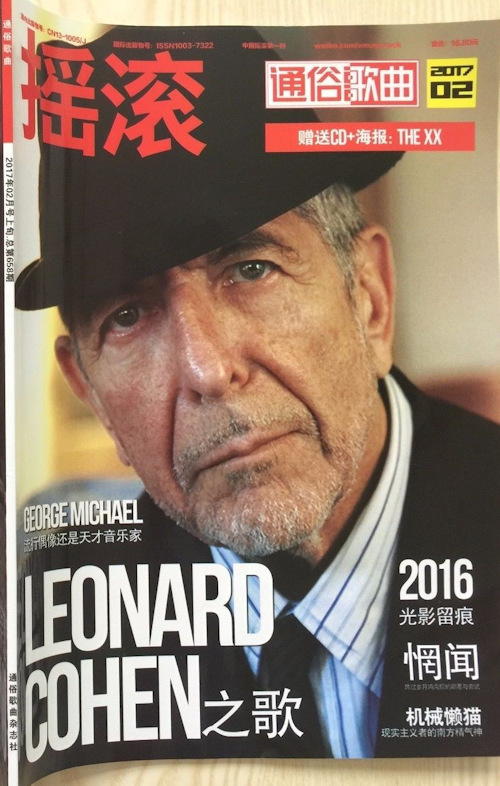 Leonard is on the cover of the Rock Music Chinese Magazine, February 2017 issue! Dominiqe Boile found this. We'd appreciate more info from our Chinese members! 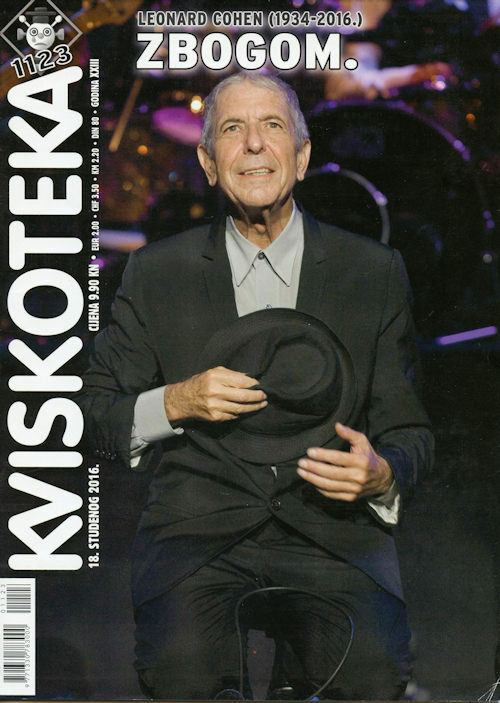 Jarkko, I never got the chance to thank you for this Discussion Forum and for all your contributions regarding my hero and Montreal's legendary songwriter & poet, LEONARD COHEN. 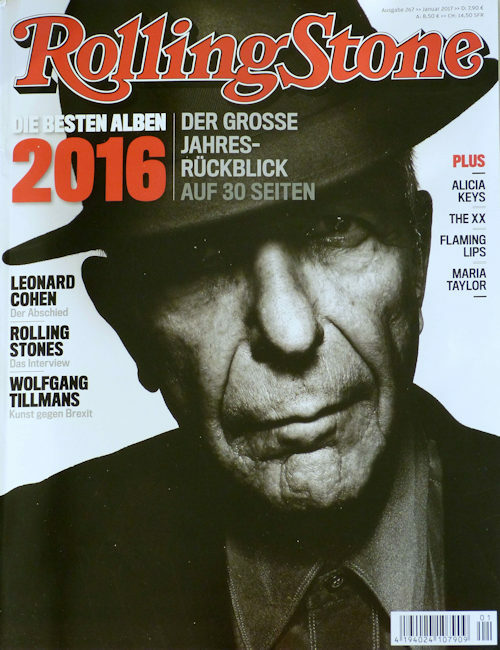 I also appreciate your sharing Leonard's pics on all those Magazine covers. So I wanted to thank you now.